Joann was born in North Carolina and raised mostly in Southern California. She attended Pacific College of Medical and Dental Assisting in San Diego. She met her husband while he was serving in the Marine Corps stationed at Camp Pendleton, CA . He was from Glenolden, PA which explains how she ended up back on the East Coast! Joann has been assisting Dr. Eunson since 2010. 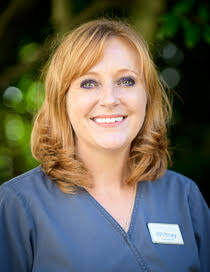 She makes it her daily mission to ensure that all of our patients feel comfortable and at ease, making dental treatments a more pleasant experience. Joann has a grown daughter and son. She resides in Garnet Valley with her husband and their toy poodle, Lola. ​Whitney was born and raised in Glen Mills, PA where she graduated from Garnet Valley High School. She attended Harcum College and received an AS in Dental Sciences, followed by a BS in Health Sciences from West Chester University. She joined Dr. Eunson's practice bringing 20 years of clinical experience. Throughout her career, it has been her priority to combine gentle, effective dental care while building strong relationships with her patients. Living in Kennett Square, Whitney and her husband are active members of the Kennett Square Golf Club. She also enjoys boating on the Chesapeake with family and friends. Whitney and her husband are proud "parents" of their two rescue dogs, Polly and Bo, who each bring them great joy. ​Vicky was born and raised in Shanghai, China. Her passion for dentistry began when she started working as a dental assistant over 20 years ago. She received her BS in dental hygiene from University of Texas School of Dentistry in 2006. She is dedicated to providing the thorough, gentle dental care to all of her patients. Vicky currently lives in Wilmington with her husband. In their spare time, she and her husband enjoy reading, hiking, going to baseball games and traveling. Susan is originally from upstate New York where she graduated from Hudson Valley Community College and received her license in dental hygiene. Although she has been a practicing hygienist for over 24 years in the 90’s Susan enjoyed a career at Walt Disney World as a professional singer/dancer. Her love of theater continues to this day and she enjoys performing at local community theaters in PA and DE. 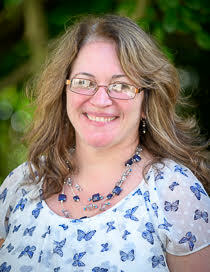 ​Susan has one son who recently graduated from the University of Central Florida and currently resides in Orlando. She has resided in Chadds Ford since 2013. 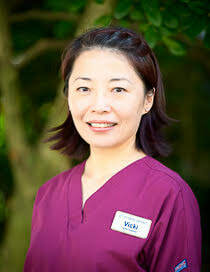 She looks forward to meeting and taking care of the wonderful patients here at Eunson Family and Cosmetic Dentistry. Christine was born and raised in Havertown, Pennsylvania where she graduated from Haverford Sr. High School. She received an associates degree in Liberal Arts at Delaware County Community College where she met her husband of 23 years. They reside in Springfield with their two children and three dogs. Chris comes to Eunson Family and Cosmetic Dentistry with over 20 years experience as a dental front desk coordinator and is excited to build long-term friendships with the wonderful patients of Eunson Family and Cosmetic Dentistry. ​Janyce was born and raised in Baltimore and relocated to Glen Mills in 1995. She taught elementary education for several years in Maryland before moving to Texas, Maine, back to Maryland and finally to PA. Janyce loves spending time with her two daughters and their husbands and she especially enjoys time spent with her grandchildren. Janyce started as a patient of Dr. Eunson in 2009 and came on board as a front desk coordinator in June 2013. Although Janyce retired in 2016, she graciously returned to work part time. It has been her pleasure to serve the Eunson Dental family and is always happy to greet “old” friends and welcome new friends to Eunson Family and Cosmetic Dentistry. Jessica was born and raised in Thornton, Pennsylvania. She graduated from Kutztown University, where she dual majored in business management and marketing with a minor in psychology. 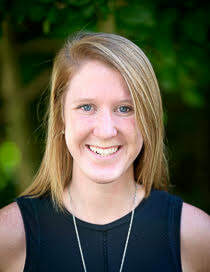 During her time at Kutztown she completed two HR internships. She was also a member of Zeta Tau Alpha and participated in numerous philanthropic events regarding breast cancer education and awareness.